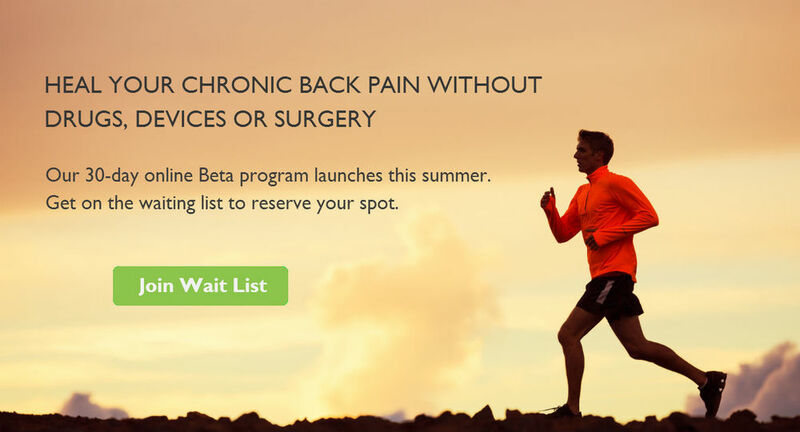 If you’ve suffered from chronic back pain and tried all the traditional treatments (but none of them has worked), the MindOver 30-Day Online Program could be for you. Our team of mind-body masters will help you discover the true source of your pain and how to overcome it - no drugs, no devices, no surgery. Reserve your spot today to lock-in your Beta pricing of $49 (deep discount to launch pricing). A limited number of participants will be accepted into the Beta program.